A rainbow design to decorate your child's room. A fantastic decal from our collection of rainbow wall stickers ideal for the little ones. Give your child's bedroom a new look and a fun atmosphere where you all can have a good time. Make story time even better than before. If you would like to see more designs based on clouds then make sure to check our collection of cloud wall stickers! It is also suitable for environments with children such as schools, nurseries and hospitals. 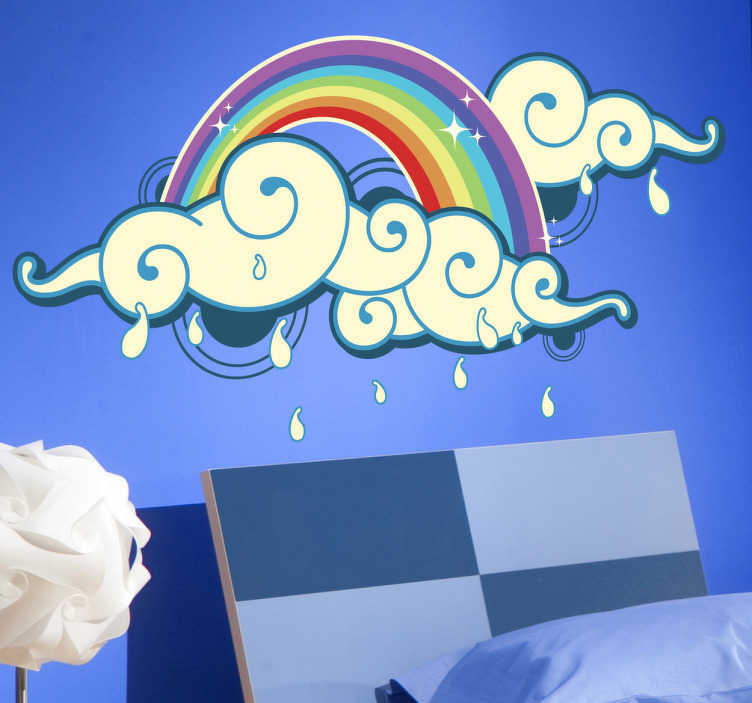 This rainbow wall art decal is perfect to get rid of empty walls and dull atmospheres. Make your child smile with a colourful design such as this one. This rainbow clouds decal is easy to apply and leave no residue at all on the surface upon removal.